AKAH FIXED BLADE SKINNER KNIFE. GOOD quality single piece blade and tang set with good sized grips made from Red Deer antler. 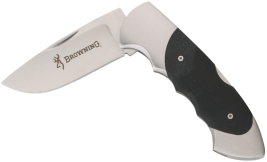 The curved blade is specially shaped to help and assist in the professional skinning of deer and other larger game animals. 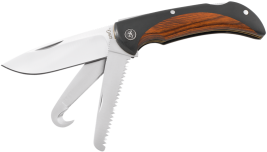 I have a big hand and can still get a comfortable grip on this knife using either or both of the finger / thumb stops to carry out any intricate as well as general work required when you get to preparing and butchering your own meat. A decent sized gut hook is also perfectly adequate to finish off any pre larder gralloch on anything here in the UK as well as splitting anything left to start skinning completely. Supplied with a top quality saddle leather belt mountable sheath in dark brown. OVERALL LENGTH Approx. 6 ¾” (172mm). 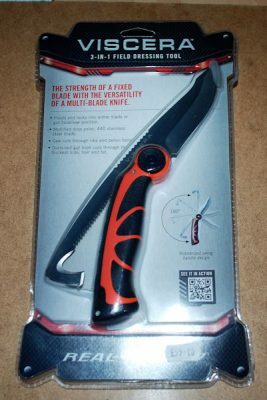 A GOOD QUALITY knife that will give years of use. I WOULD suggest investing in a suitable sharpening tool for a knife like this as there IS a skill to keeping a good angle and edge on a standard style blade let alone a curved example.